Have a healthier snacks at your meetings. Bring home some leftovers that you think your family would like to try. Ask if you can keep the ingredients at home for after-school snacks. Plan, budget and cook a healthy meal with your troop. Share a favorite family recipe and consider making all the recipes in a book to bring home and try with your family. 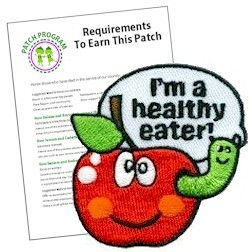 7 reviews for "I'm a Healthy Eater Patch Program"
The kids are working hard on a recipe to share so they can get their cute patch! Cute patches, great prices and fast shipping. Very fast transaction. Love your variety of fun patches. Will do business with you again!!! 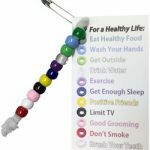 Our troop of Ambassadors did a Daisy healthy snack program and gave this patch to the girls who attended. They loved it! 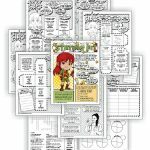 This patch is going to be great for Brownie patch we are working on and it lets me let our Daisies get some thing also. Bought this and several others for our Daisy Girl Scouts. Much less expensive than the Girl Scout fun patches! Love this picture, great topic and fun patch to earn.